RYANAIR has urged Spain to ‘diversify’ its tourism following weeks of mass anti-tourist protests by left-wing groups. It comes after Spain saw a summer of violent protests as many chanted anti-tourism slogans and sprayed offensive graffiti throughout its tourism hotspots. Barcelona, San Sebastian and Mallorca saw the worst of the backlash, just months after the country reported a record 75.6 million tourists for 2016. 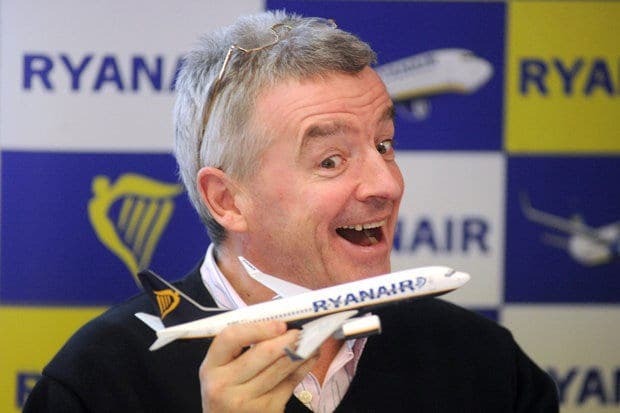 During a meeting held in Madrid yesterday, Ryanair urged Spain to promote ‘alternative destinations’ and ‘decentralise tourism’ to curb so-called tourism-phobia. Marketing manager Kenny Jacobs said Italy’s Bergamo, Malta, Ireland and Madrid had all managed to diversify tourism to avoid stoking more tension. 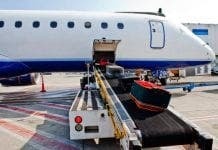 The airline also called on hotels to uphold ‘low costs’, and blasted tourism policies in areas like the Canary Islands, where ‘costs are out of the market’. 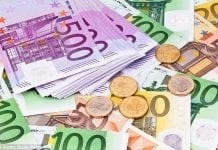 It comes after 20 young people affiliated with left-wing group Arran recently burst into a restaurant in Palma de Mallorca. The group disrupted around 70 diners inside the restaurant Mar de Nudos situated near to the cathedral by setting off firecrackers and and throwing confetti. In Bilbao another group sprayed paint across the headquarters of the Basque Country tourist board. 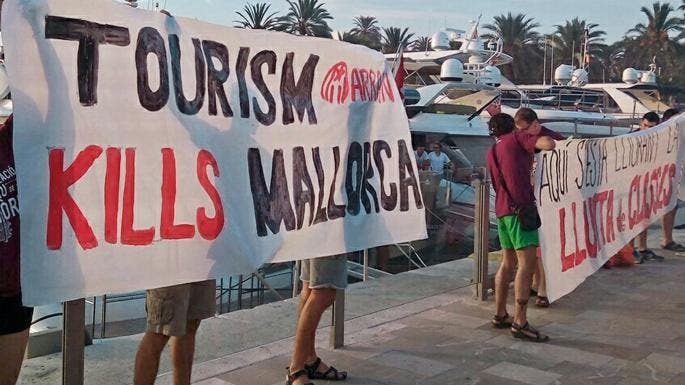 The groups claim tourism is destroying Spanish cities, driving up rent and forcing out young people.